Well I am really at the" I'm not sure what to do next stage". There are so many things I need to get done before opening the new store and its hard to decide if it should be painting, moving items, planning out details, pricing goods,etc. , to many choices and to little time. One thing was decided and that is that the shop should have its own separate blog. This blog will be used for shop updates , open houses, special shopping times and general information.The Colbycottage store blog will give store hours and a schedule of tea times available. Of course we will begin with sneak previews of some of the items you will find at the store. We have been busily working in the courtyard of the new store. It has really been fun and we are seeing it change before our eyes. The House is wonderful and full of character. We will do some painting inside after the venders move everything out. For now we are doing yard work and preparing a cozy place to enjoy coffee or tea with friends or maybe a tea party- shower, or group meeting . I am also learning how to make and serve various tea menus along with all the other things that go along with running a new business. We are shooting for opening the middle of September. Hope to see many of you soon. An unbelievable opportunity comes along! Maya says Go for it Grandma! I can hardly believe all that has happened in one week. We are doing something that I always said I'd never do. ( run a store) Yes that's right, for those of you that know me, we are actually starting a totally new venture. Last week we had an entirely different venture in mind and I seriously prayed for the doors to either open or shut, well they clearly closed and I was a bit disappointed, hardly knowing that an entirely different situation would come along the next day. Wow what a week! We have been given an opportunity to open our own store /Tea house by a wonderful lady who is closing down her successful antique shop. 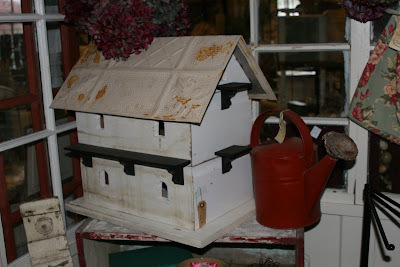 We will be setting up a cottage garden in the back to host Tea parties, showers,etc. 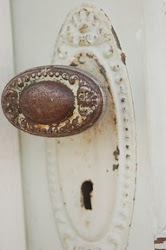 We will be filling the historical house to the brim with Antiques , home and garden decor, and various other treasures. We are also adding a coffee bistro and will cater to all customers whether it be High Tea or Mochas that they'd like. We have lots to do as the goal is to open by the middle of September.